This project involved carrying out necessary repairs and upgrades to the Corduff Raferagh Community Centre. This LEADER project included internal and external works such as solar panels, roof repairs, stage lighting, acoustic panels and computer equipment to the Corduff Raferagh Community Centre. This has enhanced its community value and safeguarded it for future years. The community centre can now be used for a greater variety of purposes. This community driven project shows how a well-organised local community can drive improvements to local resources. The project has also helped build community capacity helping gain interest from new members to become involved in their local community association. The upgrade works safeguard the centre for future years. The community centre is used by all ages all year round for sport, arts and culture, music, dance and drama, numerous fundraising events, training, education and socialising. The Corduff Raferagh Community Centre caters for local functions and social events in the area. The community has a strong musical tradition. A social dance is held fortnightly and other types of dance held regularly include Céilí, Irish, Sean-nós and set dancing. 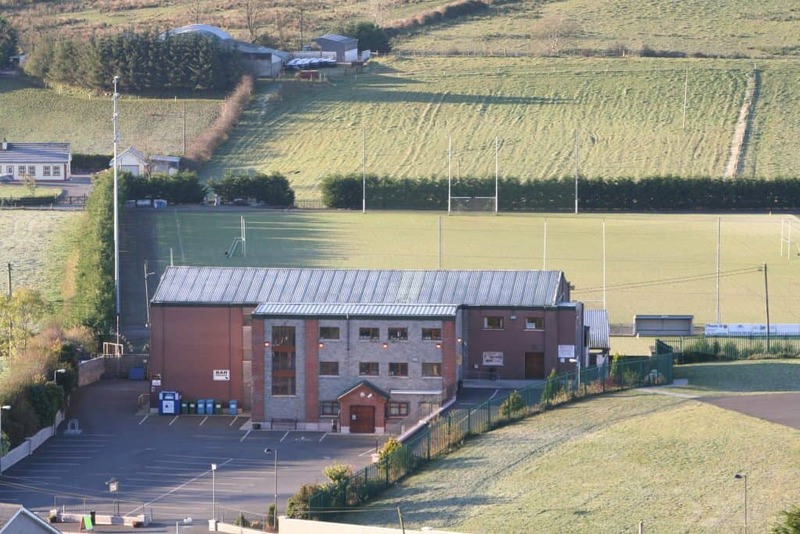 The centre also provides facilities for all sporting organisations in the community including the Bowls Club, Gaelic Athletic Association (GAA) Club, Handball Club, Ladies GAA, Juvenile Club along with the Community Association, Active Retirement group, Irish Farmers Association, Water Scheme Committee, Community Alert, Pipe Band, Pioneers, Heritage Group, Parent and Toddler Group and Drama Club. The improved facilities provide additional benefits for these groups using the community centre. For example, they can make use of the projector and screen to display information to assist their events. To mark the completion of the project the community held a re-launch event in September 2018 and launched a new Corduff Raferagh Community Centre (CRCC) logo. Originally from the area, Irish meteorologist Gerry Murphy and RTÉ weather forecast presenter acted as MC for the event. This helped to showcase the facility to groups using the centre. It also helped to revive interest and re-engage groups who had used the centre less often in recent times. The community centre has now reduced its carbon footprint and running costs. Electricity bills have reduced. A 6.8 kWp solar PV system was installed on the centre’s roof. According to Activ8 Solar Energies who installed the system, based on its operation from November 2017 to September 2018 the solar PV system has exceeded expected production (SAP) to date by 10%. The solar PV system off-sets the equivalent amount of carbon as a five-acre forest. This project was supported as part of the LEADER Programme 2014-2020 under Theme 2 ‘Social Inclusion’ and Sub Theme ‘Basic Services Targeted at Hard to Reach Communities’. The Local Action Group is Monaghan LCDC and Implementing Partner Monaghan Integrated Development CLG.